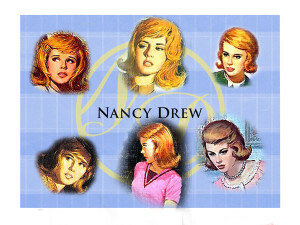 Today, of course, we’re going to be talking about one of the greatest detectives of all time: Nancy Drew. The author of the Hardy Boys mystery series began this beloved series in 1931. Starting with The Secret of the Old Clock and followed by The Hidden Staircase, The Bungalow Mystery and Mystery at Lilac Inn, Nancy Drew was becoming extremely famous. Even today, new variations of Nancy have been released, like the more modern Nancy in Nancy Drew Diaries, the eight-year-old Nancy from The Nancy Drew Notebooks, and the graphic novels based off of Nancy’s adventures. In fact, Nancy is actually the person who got me started on mysteries. She’s been my personal favorite book series since I was 4 or 5. Those who have not read this series should start now. It’s awesome.